Ok, big update time, since I have neglected the blog big time! 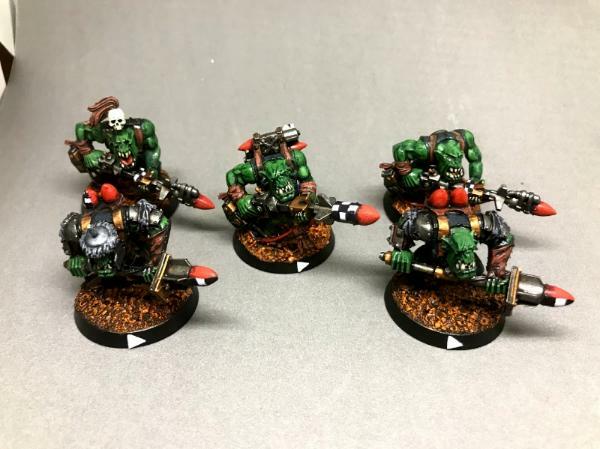 I finished up my first squad of boyz (well...they are at 20 models for now). 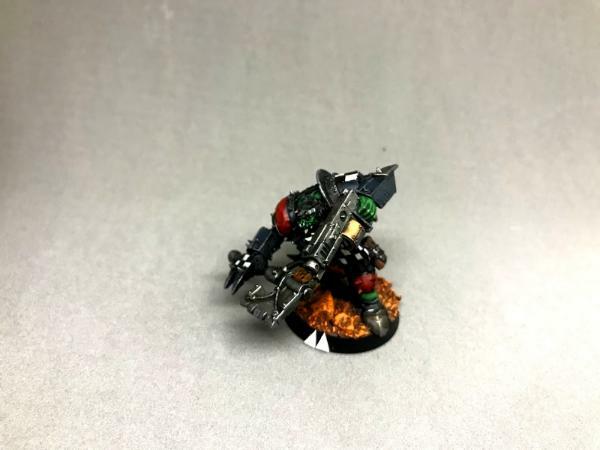 Then I got to work on another squad of orks and have 10 done on them now too! 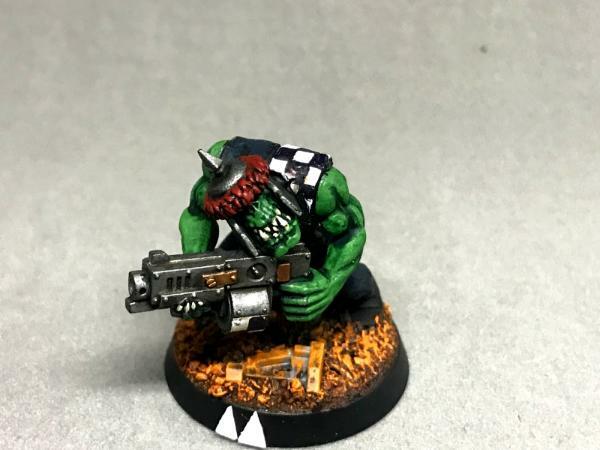 Next up was the start to a tankbustaz squad! 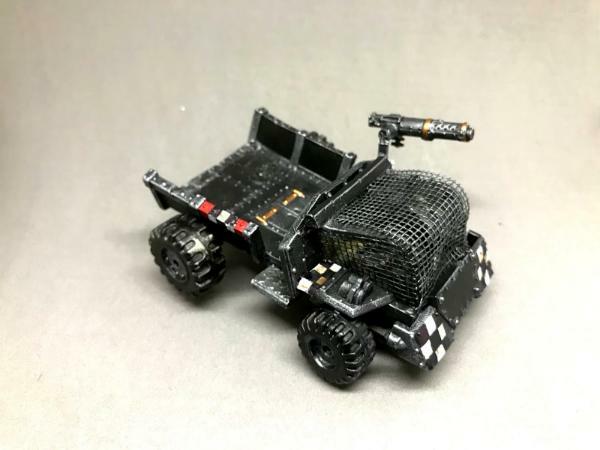 And finally, i painted up an old trukk I had laying around in my botz box. 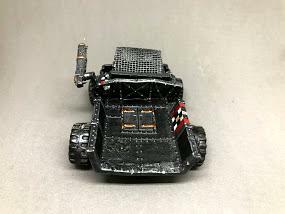 Just had to add a big shoota and re-pin the wheels as they had broken off. As always, comments and constructed criticism is welcome and sought after! 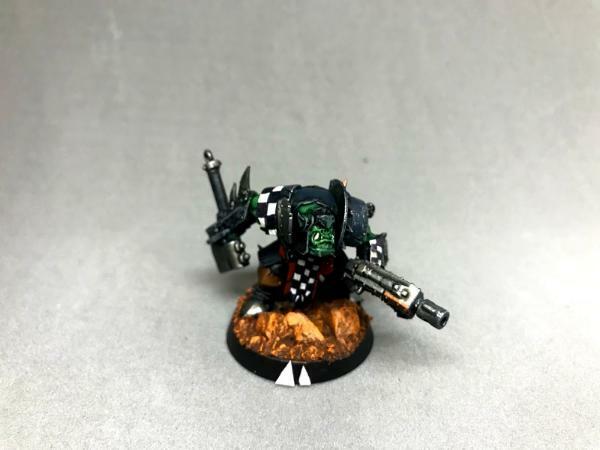 I actually really like clean Goffs. 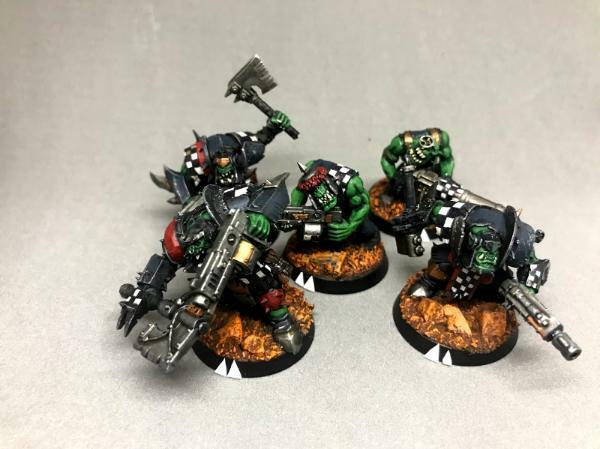 They're still the boringest orks but they can be very visually striking! 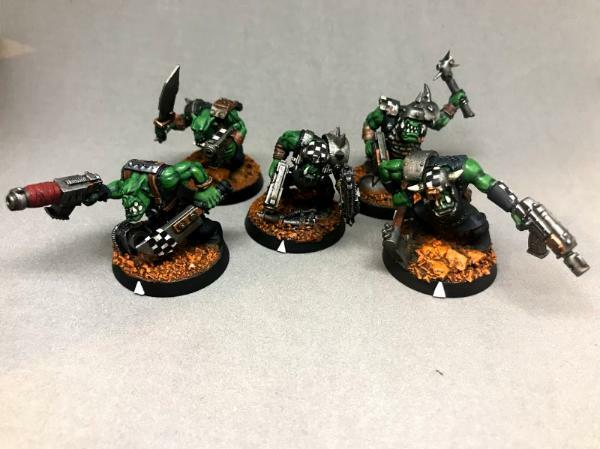 Especially these guys, you've done two things I really struggle with Grimdreg - perfect use of coppers and golds on their weapons (I always use too much or too little), and a nice amount of red. Now tell me please:, what have you made these three guys out of? 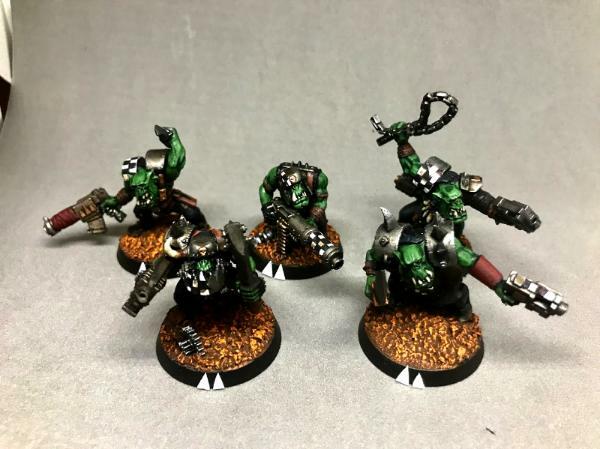 @Badfang: I had intended to add dirt and dust to everything, and I may well do it after i get the army painted, but I'm liking the striking look of the clean Goffs so far, so who knows! 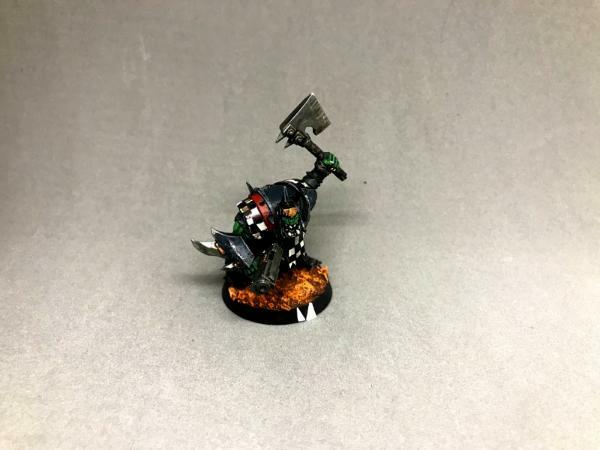 @Garslag: Those are the new Bloodbowl orcs (Gouged Eye i think??) 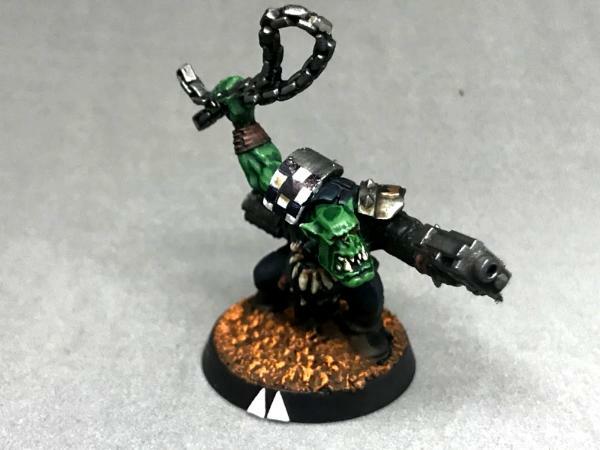 with some hand/weapon changes and the odd extra bit thrown on. 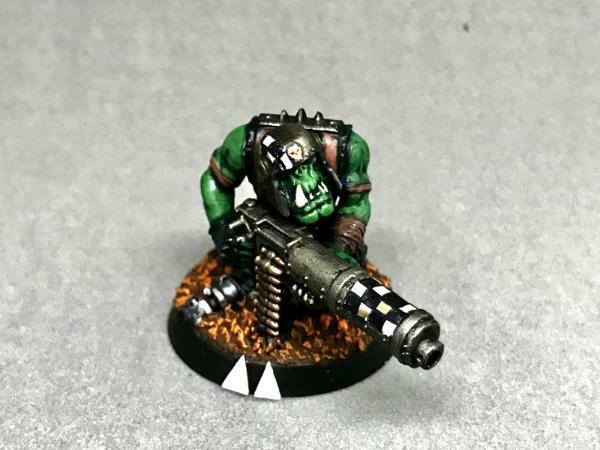 I actually started Goffs because of these models and plan to incorporate a lot more into the growing mob as they are amazing models and relatively dirt cheap (less than $5 more for 12 Gouged Eye, vs 10 normal boyz) for heavily armoured orks!